Our Meet The Buyer event, attended by over 130 delegates, was the first of its kind in Leicester and was a fantastic opportunity for suppliers to meet face to face with the supply chain managers across the Construction sector. Leicester presents many examples of major regeneration throughout the city and county that provide great prospects for the construction industry. 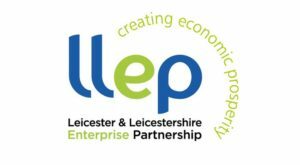 The event was supported by Leicester City Council, Leicester and Leicestershire Enterprise Partnership, Leicester College, CITB and Wates, and their opening presentations can be found below.